When it comes time to replace your roof, choosing the right shingle might be important, but choosing the right contractor is critical. At Roofing Master we offer a team of roofing specialists that will help you select the best roof for your home, community or business. We pride ourselves on our quality workmanship and customer satisfaction. Our work is guaranteed. 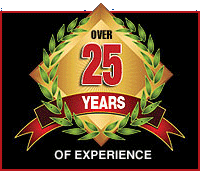 Roofing Master offers an exclusive 15 year labor warranty on all installations. So trust your home to us … many of your neighbors did. Professional installers have long preferred the rugged, dependable performance that only a GAF roof can offer. Advanced Protection™ shingles are the #1 brand in North America used by contractors and homebuilders! Beautiful Look... Features GAF's patented "High Definition" color blends and enhanced shadow effect for a genuine wood shake look. Safer... Class A fire rating from Underwriters Laboratories, the highest rating possible. High Performance... Designed with Advanced Protection™ technology, which minimizes the use of natural resources while providing superior protection for your home. Stays In Place... Dura Grip® adhesive seals each shingle tightly and reduces the risk of shingle blow-off. Shingles are warranted to withstand winds up to 130 mph. Peace Of Mind... Lifetime ltd. Transferable warranty with Smart Choice® Protection (non-prorated material and installation labor coverage) for the first ten years. right shingle for your roof! 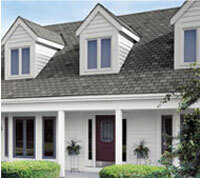 Try GAF's Virtual Home Remodeler at www.gaf.com. Visualize GAF shingles on a house like yours. Try different siding, trim and brick colors. It's fun! Every shingle Owens Corning makes combines consistent quality with long-lasting beauty and maximum protection. Colorful mineral granules that help reflect the sun's rays while adding beauty and style to the roof.